When is it time for an SME to climb on the Sales Enablement Bandwagon? When is it time for an SME to climb on the Sales Enablement Bandwagon? Let's begin by throwing light on what’s sometimes a confusing subject. SE encompasses many digital tools and virtual resources, combined with state-of-the-art training that converge on a unified objective - to boost the skills and enhance the latent talent within a business to be more sales competitive. This inevitably focuses on messaging, software, newsletters, sales presentations, emails, conversations, machine-learning devices, and social media, extending to all relevant departments in the company. The integrating process is so impactful that the term “Revenue Enablement” is being used more and more as sales, executive, management in all areas, marketing, HR, and production are called on to contribute to the overall effort of winning more business. It would appear that the dynamic pace and seismic movements of the different key pieces making up the SE puzzle are beyond an SME’s capacity. Not so - there are definitely practical ways to benefit from innovative methodologies, thus empowering SME modern sellers to sell the way they want their buyers to buy. SME owners with established SE platforms unanimously confirm there’s nothing more rewarding than witnessing new prospects turn into new customers at a prolific rate in a cost and time-effective manner. The first breakdown in any SE program is when marketing and sales are not in sync with one another. Co-ordination between these two functions is critical on every level. SME may not realize it but it’s actually better positioned than the large mammoth companies to get this right. Common sense dictates that with fewer people involved it’s easier to speak the same language, aim for the same goals. ROI implications run along similar channels for both departments. Therefore, the chances of misunderstanding or acting in conflict are lessened, and even if it does arise it should be resolved very quickly. Marketing and sales people in SME respectively need little encouragement to contribute to each other’s efforts. Sales personnel are generally receptive to bringing their direct customer experiences to bear on the marketing effort, thus making communications devised there much more impactful. On the other side of the coin, marketing experts versed in innovative messaging platforms like WhatsApp, Facebook Messenger, and Slack can show sales reps how to save time and meet customer needs more effectively. This brings us to sales readiness on the back of ready-made automation, software as a service (Saas), and social media advances for B2B. For example, it’s no secret that Facebook is betting fully on a world where everything commercial (i.e. commerce, services, and communications) will be channeled through a chat thread in preference to clunky combinations of diverse mobile sites and apps. This is already affordably accessible to SME, and judging by the 1 billion monthly active users of Facebook Messenger they may be there already. If not SME as a group, then certainly their customers are onboard. Another example - Saas innovators are willing to license out their often groundbreaking software at affordable prices with long discounted and even free trial periods. Selecting the right tools can help sales reps get ahead of the disruptive technologies shown above to align with the changing ways of their customers. It’s glaringly obvious that customers’ expectations are changing alongside the pace of bot and Saas technology, thus altering the face of business forever. These AI centered offerings teach SME personnel to both segment markets smarter and communicate smarter. They seamlessly provide the ability to engage customers across international borders in seconds with conferencing (if required) via mobile, with all kinds of addendum applications. Suffice it to say, messenger bots are economically available today to elevate SME SE activities through deliberate omnichannel engagement. Alongside applicable software, SME sales reps can accumulate key prospect data automatically, analyze it methodically, and connect to prospects ingeniously via human-cloning capability. In short, humans can employ new technologies without worry to educate customers, thereby building trust, and ultimately integrating AI meaningfully into the sales process. Everything said thus far is within the realm of SME. By uniting marketing and sales, new technologies come into play. Everything points to sales reps becoming more organized and time efficient. There’s the distinct promise selling less on price on price and delivering more fast value. Also, there should be a big encouragement factor from closing more deals in less time. Yes, all this is true but so far there’s a big missing part – Content. All the coolest, latest communication tools and analytical software at one’s fingertips won’t help one iota if the content of your message is inappropriate or off-target. SE is, if nothing else, delivering the right message for every conversation or, in other words, grasping for that unbeatable sales pitch. There’s no business – big or small – that can escape the need to make content a priority. If technology is the arterial network of SE then Content is indeed its lifeblood. Content shapes remembrance and steers brand loyalty. Whether it’s in an email, an infographic, a video, a PowerPoint presentation, or simply words in a conversation it presents an easy opportunity to differentiate your buyers’ journey. All participating SME personnel, by sharing content solutions and experiences, will help develop content that’s on-brand and impacts sales. 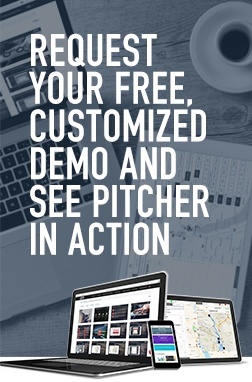 Pitcher is the one universal SE resource that’s on the SME wavelength: at the very affordable starting-pricing of $25 per user per month with all kinds of pilot options available, Pitcher offers all-in-one automated SE neural solutions easy to navigate that will constructively train small teams at the same time. Most importantly, the Pitcher system onboards SME members quickly with lasting effect. 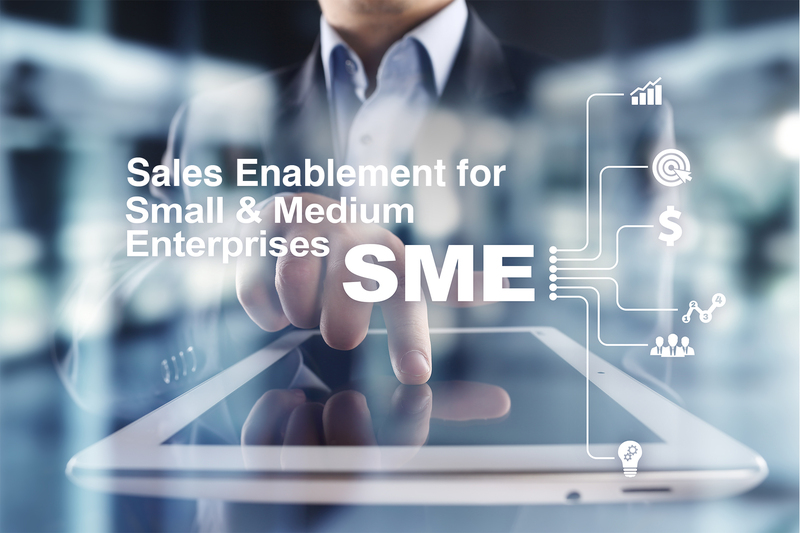 SME’s with the established advantage of being connected to Pitcher attest to the fact that the latter presents technology, analytics, content, and training as an integrated package, and in a way even the smallest entities can leverage.